A spring start up tip. 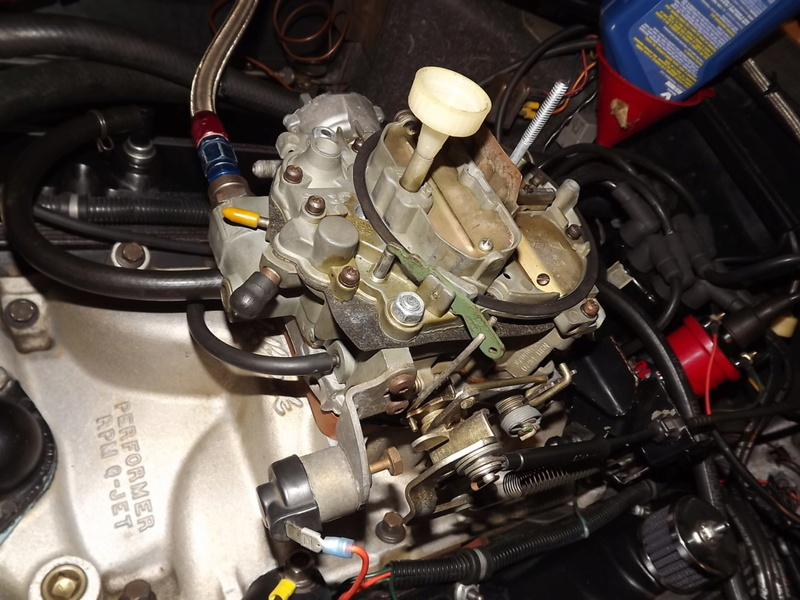 Guys running a mechanical pump, I take a diff lube nozzle and place it in the carb vent (perfect fit, no spills) Slowly pour gas down the nozzle (an ounce or 2) and fill the carb bowl. 2 or 3 pumps of the pedal and my car starts immediately. The car will stay running long enough without stalling because the float bowl is full. If you just pour some gas down the intake it will just stall out after a few seconds because the bowl will be empty until the fuel pump can catch up. This will avoid excessive cranking on a dry cam & lifters after sitting all winter. This will work on other makes of carbs as well as long as the vent tube empties into the float bowl. You just saved me wasting about a gallon of gasoline this year lol. » Lake Highlands Spring Schedule? » When to Start Running Again after a Marathon?